The motorcycle arm of British car components giant Armstrong produced moiocross, trials, road racing and military bikes in the 1980s, after taking over Barton Kngineering and CCM. Most were powered by engines from Rotax of Austria. Armstrong's CF250 road-racer, introduced in 1983, featured a tandem-twin Rotax engine in an innovative twin-spar carbon fibre frame. Niall Mackenzie and Donnie McLeod dominated British racing, and scored some impressive results in Grands Prix. Armstrong also built a very successful single-cylinder, four-stroke military bike, rights to which were later sold to Harley-Davidson. 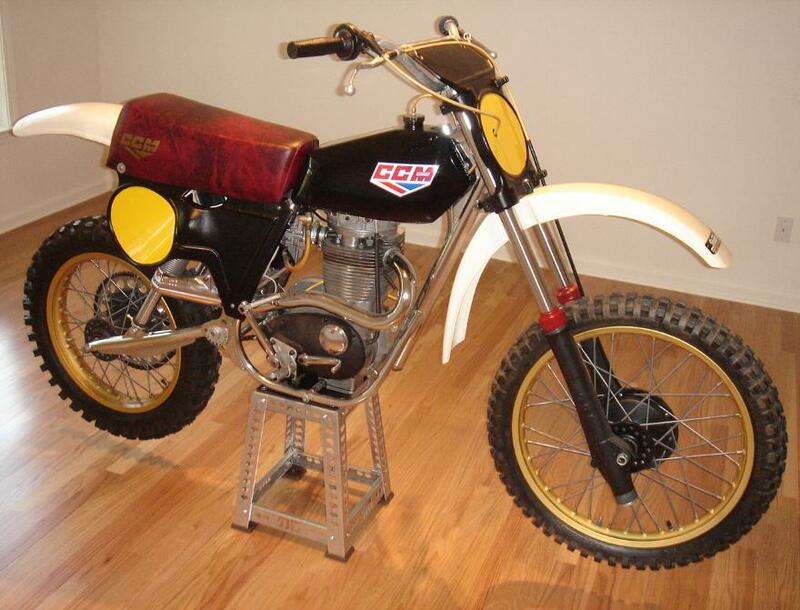 CCM motorcycle history. 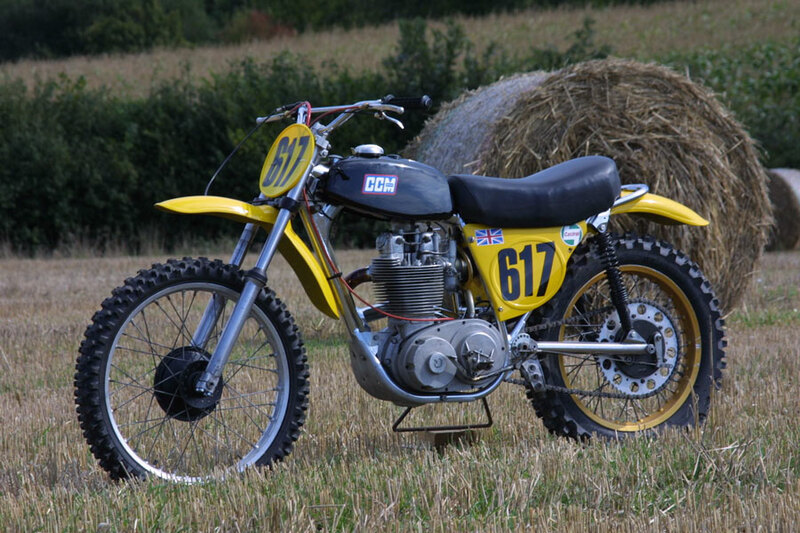 The only known survivor of CCM's first attempt at the Trans-AMA championship in the USA in 1973. Ridden by works rider Bob Wright. 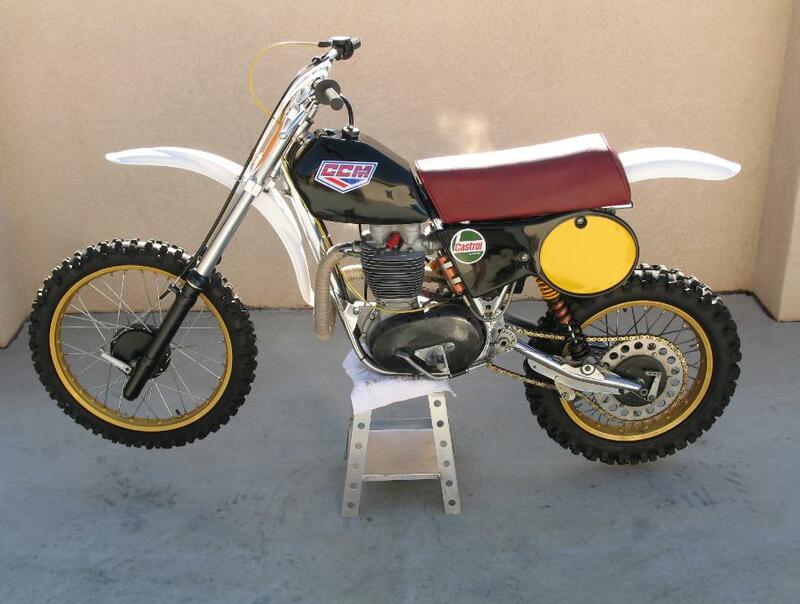 The bike is a 1973 works "short stroke" 500cc and is still 90% original. Picture courtesey of Andy Westlake. 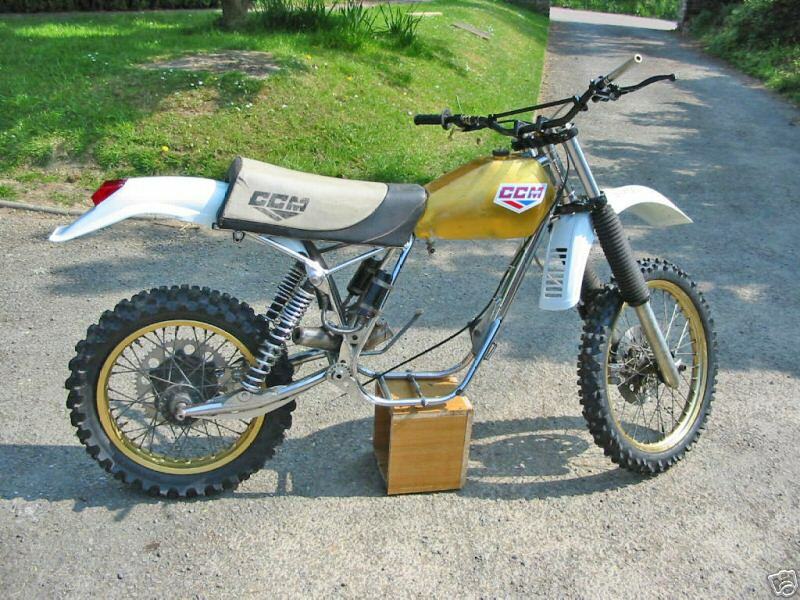 1978 CCM 500 This bike is completely original with the exception of the Fox shocks. Standard on CCM 500 were the three speed Quaife transmission, magnesium hubs, triple clamps, fork sliders and outer engine covers. Total weight on this bike is 100kg (220 lbs). 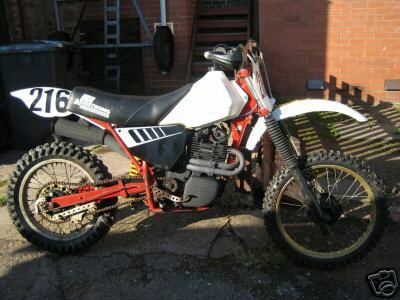 CCM 500's are rare enough but to find one in this condition is nearly impossible. 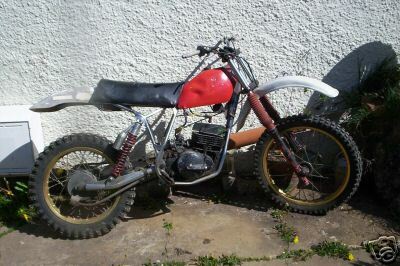 I believe this is earliest Weslake four-valve version particularly since the bike is fitted with the early version long header pipe (quickly changed back to short version for most '79 models sold).